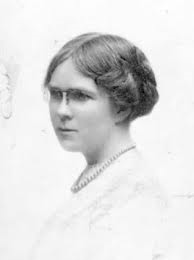 But how did Dorothy Richardson not only find herself as a writer, but as an independent woman with very developed opinions of her own? 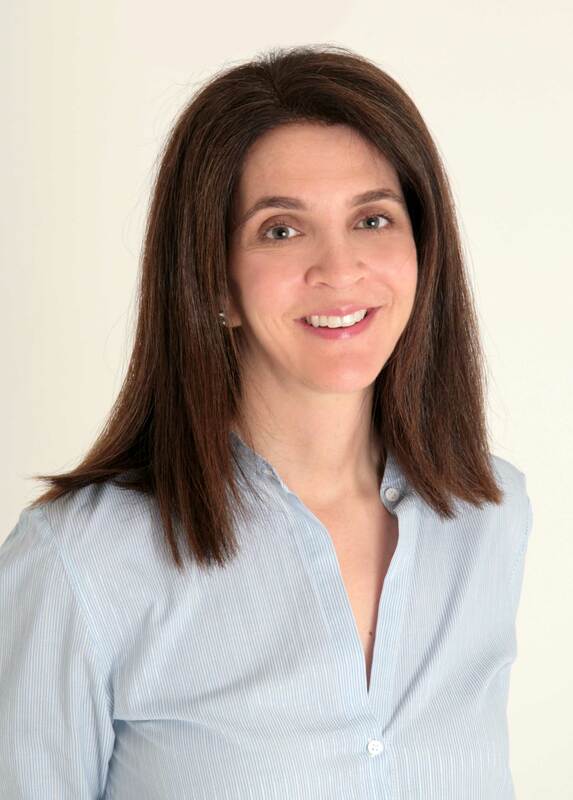 Dorothy is the central character of Louisa Treger’s debut novel: THE LODGER, to be released by St. Martin’s Press on October 14th, 2014. 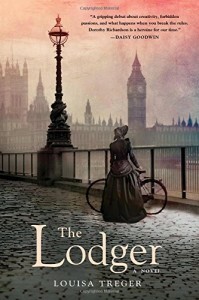 This blog is part review of THE LODGER and interview with its talented author. Women in Britain had been demanding the right to vote since 1872 but by 1905 the Women’s Social and Political Union, the Suffragettes, had become actively and often aggressively militant in their fight for emancipation. Women also began to seek careers as doctors and not nurses, leaders and not home-makers, but they were unusual. Most women from the middle and upper-middle classes married young and settled into a life of domestic bliss. At the beginning of THE LODGER, Dorothy’s father has declared bankruptcy and her mother after years of depression commits suicide. In pre-WWI Britain young women of middle-class backgrounds without family money to support and protect them became governesses or paid companions and lived respectably within the confines of their employer’s house. But Dorothy suffering deeply from the shock at her mother’s death seeks the solace of independence and moves to London to become a working woman; earning subsistence wages as a secretary to a Harley Street dentist. As Dorothy tries to accustom herself to the considerable hardships of a precariat existence she struggles with loneliness, inadequate food and the discomfort of a dilapidated boarding house. Then she receives an invitation from an old school friend who lives with her new husband, the writer H.G. 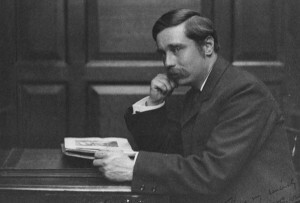 Wells (Bertie), in a comfortable house in the country. Dorothy is desperately lonely and is grateful for an opportunity to connect with her old friend; she catches a train into the country to stay with them for a weekend. Bertie is a compelling character: dynamic, by turns generous and astonishingly selfish, but completely charming with a voracious appetite for life and a growing interest in the sympathetic and intelligent Dorothy. The inevitable development of their relationship from good friends to lovers suits Bertie who is immensely attracted to Dorothy, but she is far from enthralled with the physical side of their relationship. Her attitude to Bertie seems to change from friendship and romantic infatuation to that of sexual generosity to the man she has fallen in love with. As Dorothy continues to cope with the harsh realities of being a member of the working poor, she enjoys many aspects of her new life in London. Some of the book’s most delightful passages describe Dorothy on her bicycle as she pedals her way around London, keenly observant of the daily lives of those around her; details she enjoys relating to Bertie who urges her to consider writing about her experiences. At her boarding house Dorothy is drawn into friendship with her fellow lodgers. Veronica, a vital and captivating young woman, is fascinated by the courage and determination displayed by the militant suffragette movement. Veronica and Dorothy become passionately involved in a love affair. As Veronica is drawn further into the dangers of the Women’s Social and Political Union – and the inevitable path to imprisonment and the horrors of forcible feeding and Dorothy goes through her own transformation toward emancipation. As she ends her constricting relationship with Bertie, and avoids marriage as the only opportunity to lead a protected and more stable life, Dorothy turns to writing and it is through her work that she discovers herself. Louisa Treger tells Dorothy Richardson’s story of her early life, before she became a recognized writer, with strength and honesty. Her deft portrayal of Dorothy’s most intimate feelings as she struggles with issues entirely in context with the time in which she lives is beautifully written with sympathy and understanding and give the reader a tremendous sense of place and time. How did you discover Dorothy Richardson? She is hardly a well-known literary figure today, unlike Virginia Woolf. What was it about her personality, her life and her circumstances that drew you to her? As soon as I read this, I had to know more about Dorothy Richardson. Who was she? How had she come to re-invent the English language, in order to record the experience of being a woman? The more I found out about her, the more I was drawn to her. Dorothy’s literary achievements were remarkable – she forged a new style of fiction that became known as stream of consciousness. Her desire to find a narrative form that would render the texture of consciousness really resonated with me, for I too was striving to capture in words life’s minute to minute quality. I was as captivated by Dorothy’s life as I was by her work: she was deeply unconventional in both, smashing just about every boundary and taboo going – social, sexual, and literary. How much of our early life’s experiences shape who we become, or choose to become? Do you think Dorothy’s sense of alienation from the rigid social conventions of the day are an indirect result of her mother’s suicide and her father’s bankruptcy? I believe that our early life experiences have a profound effect on who we become. Actually, Dorothy’s sense of alienation from the social conventions of the day predated her mother’s suicide and her father’s bankruptcy. Her father called her his ‘son’ from an early age because she was the third of four daughters, not the longed-for heir. He admired and encouraged her intellect; her ineptitude for domestic chores was tolerated, even indulged, by him and the rest of the family. Dorothy grew up torn between admiration of him and resentment at the way he dominated her mother – she was keenly aware of the inequality of the sexes. Dorothy’s father was the son of tradespeople, yet he aspired to be a gentleman. He sold the family business and invested the proceeds unwisely: there were years spent struggling to cling to solvency even before the final crash. So Dorothy was displaced from her class and confused about her gender early in life – her mother’s suicide and her father’s bankruptcy were contributing factors in a process of alienation that was already in motion. Dorothy falls in love with her oldest friend Jane’s new husband and willingly becomes his mistress. She knows this causes Jane deep hurt, but she does not deny herself. How did you approach this aspect of Dorothy’s character so that the reader does not feel antipathy towards her? It wasn’t easy, and no doubt some readers will condemn Dorothy’s behavior. I tried to portray several things about her character – foremost, her vulnerability and isolation when she meets Bertie. She is reeling from her mother’s death, and is less able to withstand his charm than she might have been if she was more robust in herself. Also, Dorothy is fully aware how wrong it is to become involved with a married man and betray her oldest friend. She genuinely suffers and feels remorseful, but the attraction is stronger than she is. Finally, I tried to show – I hope without being judgmental – that no one is the winner in this situation. Ultimately Dorothy, Bertie and Jane all get hurt. Many of the issues Dorothy faces such as living a precariat existence, a low-paying dismal job, her decision not to marry and deal with the insecurity of living alone in a big city are similar to those young women face today. How much has changed since the early 1900s, and do you think women’s lot has really improved? I totally agree that these issues are still relevant to women today. In many respects, Dorothy was a modern figure beset by modern dilemmas. In certain ways, things haven’t changed that much. The gap that still exists between women’s and men’s earnings has been well-documented, as has the fact that women lose out through taking time off to have children, often forfeiting promotions, training opportunities and job progression. Of course, women’s lot has improved in other ways: we have more freedom now, more choices. But this brings its own complications. We’re told that we can have it all, but I rarely meet a woman who is completely satisfied by her particular life balance. Full-time career women tend to feel they’re missing out on time with their families, full-time mothers feel that they have no identity outside their homes and families, while the part timers believe they don’t do anything properly. You describe Dorothy’s path to writing as she struggles to find voice and expression as a writer. What about you, when did you first start writing? Was the research and writing of THE LODGER your first experience as a writer, and what were the struggles you encountered both as a writer and in your path to publication? For most of my life, I kept diaries and scribbled short stories – I think the desire to write was always there. I originally trained as a classical violinist, but was forced to take a year out due to illness. It was possibly the best thing that could have happened, because it gave me the opportunity to rethink my life: I realized that I wanted to work with words, not music. THE LODGER is my second novel – there’s an apprentice novel hidden away in my bottom drawer! But I don’t look on my first attempt as a waste because I learnt so much whilst working on it. I decided to follow the traditional path to publication: it was long and littered with rejection letters from both agents and publishers. At times, it seemed I would never get published and I thought about giving up, but I couldn’t stop writing; it was part of who I was. I’m a living example that persistence pays off. Signing up with my present agent, David Haviland, was a turning point. He has an exceptional editorial eye and really transformed THE LODGER, shaping it into something that publishers were willing to consider. To tell you the truth, I don’t feel that my struggle has ended with publication of THE LODGER. I am always striving to be a better writer – my writing is never good enough! Thank you, Louisa. 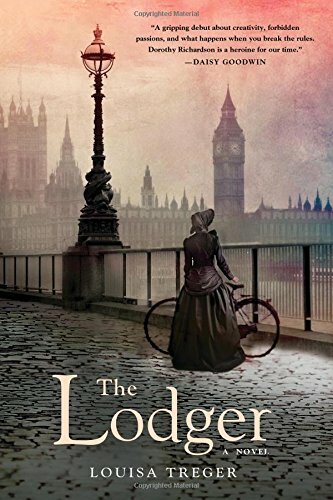 You have written a stunning book, Dorothy is a compelling woman and her story and the way you have told it is fascinating, I felt honored to be allowed to read THE LODGER and to have the opportunity of talking to you about this remarkable account of a distinctly independent Edwardian!